OS X localhost : Minimum and Maximum You Need to Know! The Customize Windows > Apple > OS X localhost : Minimum and Maximum You Need to Know! OS X localhost will obviously behave like pure UNIX OS, be it Mavericks or OS X Mountain Lion. It is possible to open localhost without installing Apache2 too. But, it is more important to understand which, what when, who and why. Blinding playing with OS X or any UNIX Operating System can be quite dangerous because usually we have a non-dedicated DNS for the Internet Connection from Internet Service Provider’s side. OS X manages these security part without asking you. You ran come command blindly, it asked password and you provided and run some chown command later, it is not unusual to get you HTML files indexed by Google bots! It frequently happens in many University student’s trial and error setup. Typically, if you search for Font like files, you might be able to find such IPs fully indexed! This is normal – you have given the full access to the System using improper commands. We are taking that, you have a default setup, may be upgraded to current version of OS X from Mac OS X 10.6. If you are already running OS X localhost and has issues, it is not possible to solve reading this article. The guide to Install WordPress on Mac OS X With Command Line LAMP Configuration shows everything line by line for setting up Apache2 with the required modules. What we want to say – you are running Apache2 in that case and if you has issues with it, this is not that kind of guide. This Apache2 is a webserver software. You can search on this website, there are many such – lighthttpd, nginx etc. That is where the security is for. When you are opening from Desktop, you are opening as user. The user document root level is missing the ‘~/Sites’ folder in the User account on a clean installation, you need to make a “Sites” folder at the root level of your account. But that way is for enabling Apache2 – you need the conf file. or Run some commands to make enable Openly without any Web Server Software. Here is where the thing happens – Font files get indexed due to improper permission. Be very careful if you do such things. 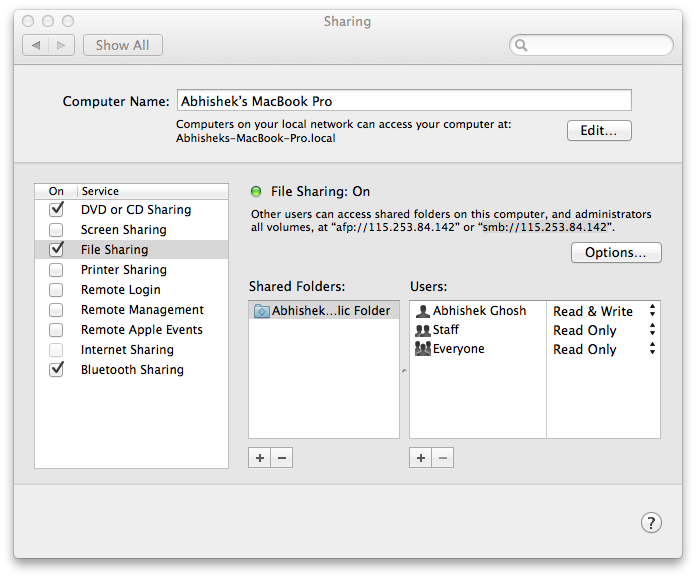 Control of OS X localhost becomes easy with a WebServer Software like Apache2. Yes, it is possible to do many things, many steps and ultimately you can open localhost & HTML files from that folder by typing localhost on Bowser – but, that is not what is wanted for Security purpose. Otherwise a WebServer software had no functions. This Article Has Been Shared 3351 Times! Articles Related to OS X localhost : Minimum and Maximum You Need to Know! Title: OS X localhost : Minimum and Maximum You Need to Know! Cite this article as: Abhishek Ghosh, "OS X localhost : Minimum and Maximum You Need to Know!," in The Customize Windows, November 26, 2013, April 21, 2019, https://thecustomizewindows.com/2013/11/os-x-localhost-minimum-and-maximum-you-need-to-know/.